Tendons are bands of fibrous tissues that connect muscle to bone. They have elastic properties that are generally well suited for the loads required by daily activities. However, when the loads placed on the tendon become far greater than it’s capacity, the tendon undergoes structural changes. This is known as tendinopathy. 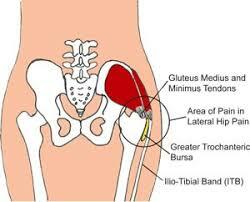 Gluteal tendinopathy, refers to an overuse injury of the gluteus medius and gluteus minimus tendons around the hip. The condition typically presents as pain on the outside of the hip, particularly over the greater trochanter (the bony protubernace at the side of your hip where the gluteus muscles insert). It may also refer down the outside thigh and sometimes to the knee. This condition primarily affects middle-aged females, particularly those in the perimenopausal period. 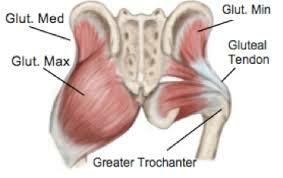 Gluteal tendionpathy can also be seen in active individuals, particularly endurance walkers and runners. What are the symptoms of Gluteal Tendionpathy? Should I get a scan? 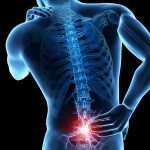 While imaging can be helpful, research has shown that clinical tests are more relevant than an MRI or other scans for diagnosing gluteal tendionpathy If the above symptoms apply to you, it is important to see your physiotherapist or qualified health practitioner who can assess you and provide appropriate treatment. Gluteal tendinopathy is a complex condition that can progressively worsen if left untreated. 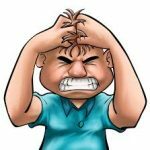 In the initial stages it is important to modify and reduce aggravating activities such as running, prolonged walking or climbing stairs. Your physio can also suggest postural changes to assist you, if sitting or sleeping is causing pain. In this case it is important NOT to stretch your glutes or iliotibial band, as doing so can compress and further load the tendon. The most important part of your recovery is a rehabilitation program incorporating load management and muscle re-training. At PMPP we can work with you to develop a specific strengthening program and gradually allow you to return to activities pain-free. If you have any questions or would like more information regarding gluteal tendionpathy, please discuss with your physiotherapist who will be able to assess you and provided individualised advice and exercises to assist with your recovery. Contact us to book in today.